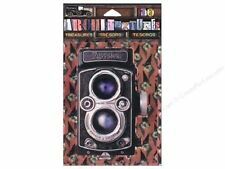 7 Gypsies Architextures Treasures Embellishments- Vintage Style Camera 4" -NEW!! Light silver colored with matte finish. 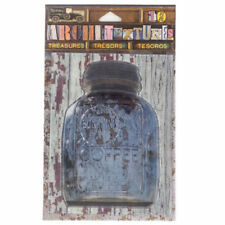 With intricate details, this coffee jar sticker is sure to add a unique spin to your craft projects. Plastic and PET. 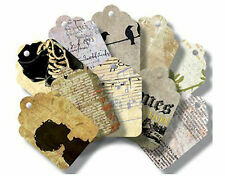 7Gypsies OFF THE WALL (20) Art Tags scrapbooking altered art JUST 99 CENTS! TheOFF THE WALL Collection. (2) each of (10) different designs. nor do we mark them as 'GIFT'. You can also use them to embellish invites for your little one's baseball or football match. Sizes range from 1.875" - 1.5" x 1.5" - 1.25". You can also use these stickers to embellish your kid's activity books and school projects. Plastic and PET. Wooden crate stickers (1.25" x 5.25"). Corrugated tin stickers (2" x 5.25"). Plastic and PET. 2 stickers. Create eye-catching accents for your craft projects with these cool mason jar stickers. 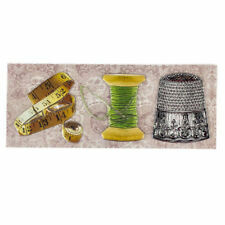 These stickers are also great to adorn your scrapbook pages, invites, favor bags and more. Plastic and PET. Incorporate texture and colors in your DIY craft projects with these kitchen gadget puffy stickers. Plastic and PET. There are 16 pages in the book when you count the front and the back of each page. The book is bound with a stitched seam down the center of the book. made from recycled paper. made in the USA. These cross puffy stickers are ideal to adorn your religious papercraft projects. Plastic and PET. Lot of 3 Chipboard albums. (1) 5 3/4" x 7" rectangular, (1) approx 5 1/2" x 6" Heart - 10 pages, (1) 2 1/2" x 3 1/2" rectangular with box-8 pages. 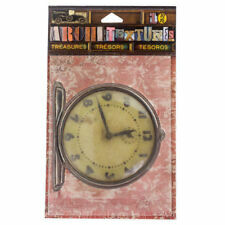 The closed box measures approximately 3" x 4" x 1". Will come as pictured. The album is brand new. Packaging is not mint and has ripped open at the top. 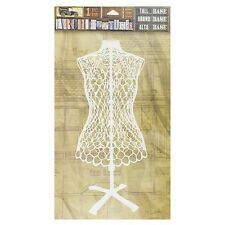 Chipboard is very heavy weight and will not bend easily. 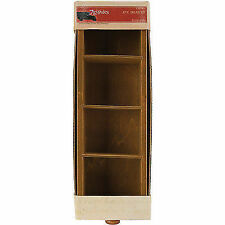 Not good for projects in which you will need some "give" but a beautiful and sturdy base for a mini-album. The edges have warped some from being in storage as can be seen in the photos that show the top and bottom edges of the boards. There are 6 boards that measure approx 6 1/2 inches wide and 4 1/2 inches tall. Comes with 10 rings. Made in USA. UPC: 074427179892. 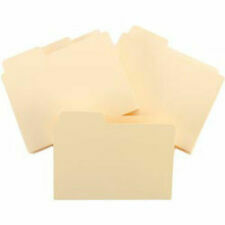 ATC Tabbed File Folders 3"X3.75" 12/Pkg. Master Card. Available in Canvas, Burlap and Dungaree. UPC: 074427250331. International Expedited. Master Card. I'd like to keep these together as one sale. One is labeled "Victoria" and the other "Hudson Valley". I was an avid scrapbooker for many years when my children were young. They will be marked new unless otherwise stated. One complete new set, sealed. 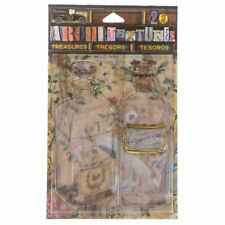 Perfect for displaying ATC cards that you collect! UPC: 074427126131. Master Card. International Standard. The high quality adhesives will work well for paper surfaces. 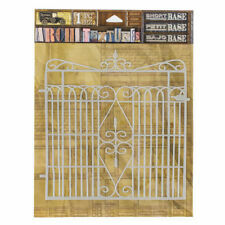 1 - Architextures 16" x 24" sheet of pressure sensitive transfers that can be applied to various surfaces. (see pics). Sunshine Coffee Jar. Book format 2 sheets, 1 tabbed sheet, 2 sheets, 1 tabbed sheet, etc. 5 Tabbed pages. 17 sheets altogether, 34 pages. Book specifics below The fine print Cover is: Chipboard.